COGSWELL & HARRISON 12-BORE 'THE AVANT TOUT' BOXLOCK EJECTOR, serial no. 26918, 29 3/4in. nitro barrels, the rib engraved 'COGSWELL & HARRISON LTD. THE AVANT TOUT. 141 NEW BOND ST. & 226 STRAND. LONDON. ', 2 1/2in. chambers, bored approx. imp. cyl. 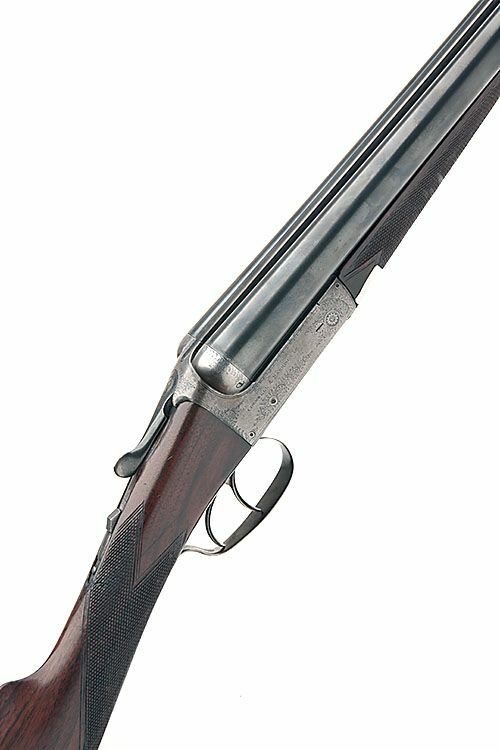 and 1/4 choke, treble-grip action, automatic safety, border and acanthus scroll engraving, 14 1/2in. stock (cracked), weight 6lb. 5oz.